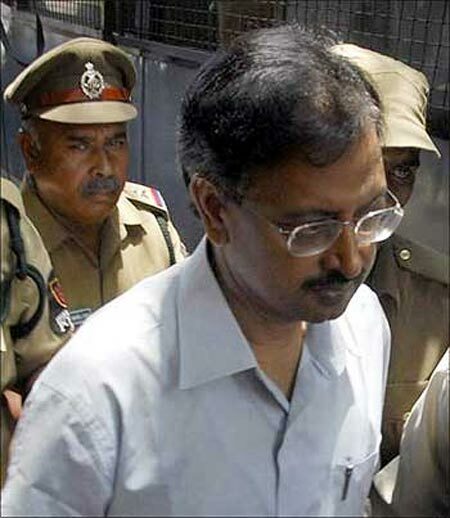 A local court on Monday convicted Satyam founder B Ramalinga Raju, accused of one of the most sensational corporate frauds in the country, and others accused in connection with complaints filed by Serious Fraud Investigation Office (SFIO). SFIO, the investigation arm of Union Corporate Affairs Ministry, had filed seven complaints against the erstwhile Satyam Computer Services Limited (SCSL) and its directors for violations of the Companies Act in the Special Court for Economic Offences in Hyderabad in December 2009. The court directed one of the former directors, Krishna G Palepu, to pay fine of a whopping Rs 2.66 crore within two months. Raju is currently out on bail. Today's court order was suspended to enable the accused file appeals. Raju, former Satyam managing director Rama Raju, and its former chief financial officer Vadlamani Srinivas and former director Ram Mynampati were given jail terms and fines. Meanwhile, the CBI court in Hyderabad is likely to pronounce its verdict on December 23 in the case related to accounting fraud at Satyam. Satyam Computer Services Ltd subsequently merged with Tech Mahindra.